We invite you to discover one of the most exceptional hair salon and spa experiences in Chattanooga, Hixon and Soddy Daisy.....Bei Capelli Salon and Spa. We offer a warm and inviting hair salon and spa environment with Old World charm---a place where you can relax and escape the stress of a hectic day. Our friendly and experienced staff is devoted to providing you with unparalleled service and individual attention. Eyelash Extensions are now available at Bei Capelli Salon! Add glamour and luxurious length to your lashes with Eyelash Extensions. Our gorgeous lash extensions are perfect for special events or any other occasion. Eyelash tinting is also available. Ask us about Bei Capelli Gift Certificates at your next appointment. Our gift certificates can be purchased at the salon and make the perfect gift for any occasion. Bei Capelli is the Italian phrase for "beautiful hair", and it is one of our many specialties at Bei Capelli Salon and Spa. Our artistic team of stylists specializes in advanced hair cutting techniques and designs that range from classic and casual to trendy and cutting edge. We also offer hair color and highlights, natural hair extensions, waxing, keratin smoothing treatments, as well as formal hair and upstyles that are perfect for any special event. No matter which service you choose, we promise you will be delighted. Bei Capelli Salon and Spa carries only the most respected product lines including Matrix, Moroccanoil, White Sands, Aropur, and Keratin Complex by Coppola.--a revolutionary keratin smoothing system that leaves hair silky and virtually frizz free. 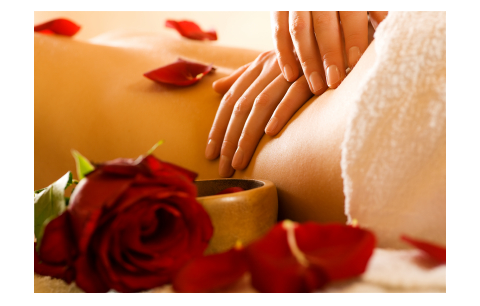 We offer the ultimate in relaxing therapeutic massage including Hot Stones, Swedish, Deep Tissue and Pregnancy Massage. Discover the many benefits of a professional massage including greater energy, reduced stress and pain, improved circulation, a better night's sleep, and enhanced immunity. Purchase 3 massages and receive your fourth massage for free! If you are in the Hixson, Soddy Daisy or Chattanooga area, make an appointment today and enjoy the ultimate salon and spa experience!